Viral advertising relies on consumers' transmitting the message to other consumers within their online social media. Viral advertising is controlled by consumers and is less under the control of advertisers and brands (Petrescu, 2014). Consumers receive the link or the advertising content and pass it along through e-mail or posting it on a blog, microblog, podcast, wiki, form, webpage, and social media profile. Advertising narrative in traditional media has changed with viral ads. In the narrative of viral advertising is more emotional, romantic, humorous, sexual and contains social messages. This study was conducted to examine the Brands' viral advertising narrative. Viral advertising is at an early stage of development and much of the current viral marketing communication literature research is concerned with understanding the motivations and behaviours of those passing-on email messages. No longer the preserve of offline communication strategists, it is becoming a central platform for interactive marketing communications (Cruz & Fill, 2008). Sharing online content is an integral part of modern life. People forward newspaper articles to their friends, pass YouTube videos to their relatives, and send restaurant reviews to their neighbors. Indeed, 59% of people report that they frequently share online content with others. Such viral content also has an important impact on both consumers and brands. Decades of research suggest that interpersonal communication affects attitudes and decision making and recent work has demonstrated the causal impact of word of mouth on product adoption and sales (Berger & Milkman, 2012). Although it has a very short backstory, social media providing viral messaging has billions of users in the world. Social media shows sensitivity to social development in the society. Individually, it offers unique opportunities to transport and recognition of people in the society and worldwide. This case increases the importance of viral marketing and viral advertising narrative. Viral marketing and viral advertising is the key to marketing success in the 21st century, and viral advertising is one of the most important tools in the viral marketing toolkit (Petruscu, 2014). Viral marketing offers the advantages of communication and interaction of individuals and brands at network platforms by orally. In this way, thanks to feedback from both consumers so they can find solution about their problems in a short time for both brands, consumer brands can develop more strategic brand tactics. While the popular and trade press have recently focused extensively on the practice and risks of “viral marketing,” “viral communication,” “buzz marketing,” “stealth marketing,” “word of mouth marketing,” “electronic word of mouth advertising (eWOM)” and of course, “viral advertising,” almost no scholarly work has been conducted in this area, and no study has focused specifically on the commercial use of the viral concept from an advertising perspective (Porter & Golan, 2006). Viral marketing called with different names, strengthens the independence of brands among customers available and appeals the new customers to brand. Viral marketing has become the defining marketing trend of the decade. Brands big and small launch viral videos via YouTube, post new product information on their MySpace pages, court the blogosphere and send forth armies of evangelists to spread the gospel by word of mouth (WOM) (Ferguson, 2008). Viral marketing is a contemporary marketing technique, which has evolved in reaction to the increasingly competitive marketing environment. Viral marketing is predominantly based on word of mouth (WOM) communication, which is widely accepted as one of the most important and influential marketing concepts (Swanepoel et al., 2009). 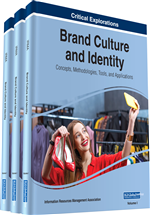 Today, consumers are keen to learn more about the brand before buying brand. In addition, by developing brands and renewing the business they must protect their existing customers to connect with consumers. It gets easier with viral marketing in this direction, the viral marketing for brands, the importance of viral advertising and viral marketing is increasing. Viral advertising is personal and even though it comes from an identified sponsor, usually companies do not pay for its seeding or distribution. Companies are involved in its distribution only during the initial placement and diffusion through online platforms or e-mail, before consumers take over the entire transmission process. Most of the classical viral ads circulating online are ads paid by the sponsor brand, launched either on the company webpage, social media profile, or on social media websites such as YouTube (Petruscu, 2006). Interactive communication between consumers and brands of Web media brands provide brands important advantages. Consumers the brand to be in interaction with the environment or social networking platforms on the web is a positive effect on their attitudes toward the brand and purchase intent.